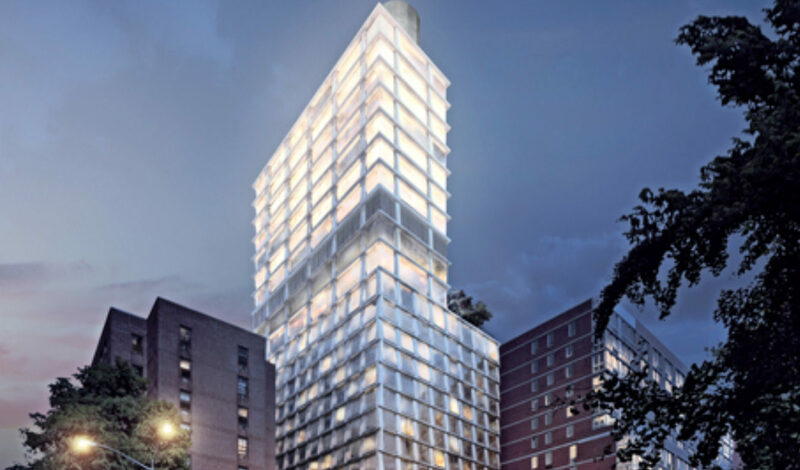 Partnering with leading companies to enhance neighborhoods all over Manhattan with transformational developments, HFZ entered into a joint venture with Ian Schrager Companies and The Witkoff Group for the ground up development of a mixed-use development consisting of a hotel, restaurant and bar, and residential condominiums. Situated between Chrystie Street and the Bowery, the 28-story building, with setbacks on several sides, houses 367 hotel rooms on the lower 17 floors, and 11 residences on floors 19 through 26. The luxury condominium residences on the upper floors feature spacious floor plans and offer incredible panoramic views. Public is the second location for Ian Schrager’s Public brand, which successfully launched in Chicago in late 2011. Catering to young professionals who insist on luxury services and amenities but are also price conscious, Public is a celebrated social destination.